A virtual organisation uses information and communications technology to allow it to operate without clearly defined physical boundaries between different functions. It provides customised services by outsourcing production and other functions to third parties. Virtualisation is the process whereby a company develops more of the characteristics of a virtual organisation. Benjamin and Wigand (1995) state that 'it is becoming increasingly difficult to delineate accurately the borders of today's organisations'. A further implication of the introduction of electronic networks such as the Internet is that it becomes easier to outsource aspects of the production and distribution of goods to third parties (Kraut et al., 1998). This can lead to the boundaries within an organisation becoming blurred. Employees may work in any time zone, and customers are able to purchase tailored products from any location. The absence of any rigid boundary or hierarchy within the organisation should lead to a company becoming more responsive and flexible, and having a greater market orientation. To the outside observer, it will appear almost edgeless, with permeable and continuously changing interfaces between company, supplier and customer. From inside the firm, the view will be no less amorphous, with traditional offices, departments, and operating divisions constantly reforming according to need. Job responsibilities will regularly shift. 1 Processes transcend the boundaries of a single form and are not controlled by a single organisational hierarchy. 2 Production processes are flexible, with different parties involved at different times. 3 Parties involved in the production of a single product are often geographically dispersed. 4 Given this dispersion, coordination is heavily dependent on telecommunications and data networks. Introna (2001) notes that a key aspect of the virtual organisation is strategic alliances or partnering. The ease of forming such alliances in the value network as described in Chapter 2 is one of the factors that has given rise to the virtual organisation. All companies tend to have some elements of the virtual organisation. The process whereby these characteristics increase is known as virtualisation. Malone et al. (1987) argued that the presence of electronic networks tends to lead to virtualisation since they enable the governance and coordination of business transactions to be conducted effectively at lower cost. What are the implications for a marketing strategist of this trend towards virtualisation? 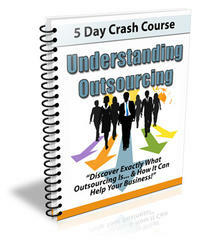 Initially it may appear that outsourcing does not have direct relevance to market orientation. However, an example shows the relevance. Michael Dell relates (in Magretta, 1998) that Dell does not see outsourcing as getting rid of a process that does not add value, rather it sees it as a way of 'coordinating their activity to create the most value for customers'. Dell has improved customer service by changing the way it works with both its suppliers and its distributors to build a computer to the customer's specific order within just six days. This vertical integration has been achieved by creating a contractual vertical marketing system in which members of a channel retain their independence, but work together by sharing contracts. So, one aspect of virtualisation is that companies should identify opportunities for providing new services and products to customers that are looking to outsource their external processes. The corollary of this is that it may offer companies opportunities to outsource some marketing activities that were previously conducted in-house. For example, marketing research to assess the impact of a web site can now be conducted in a virtual environment by an outside company rather than by having employees conduct a focus group. 1 Co-alliance model. Effort and risk are shared equally by partners. 2 Star alliance model. Here the effort and risk are centred on one organisation that subcontracts other virtual partners as required. 3 Value alliance model. This is a partnership where elements are contributed across a supply chain for a particular industry. This is effectively the value network of Chapter 2. 4 Market alliance model. This is similar to the value alliance, but is more likely to serve several different marketplaces. Using the Internet to facilitate such alliances can provide competitive advantage to organisations operating in business-to-business markets since their core competences can be complemented by partnerships with third parties. This can potentially help organisations broaden their range of services or compete for work which on their own, they may be unable to deliver. Such approaches can also be used to support business-to-consumer markets. For example, Dell can compete on price and quality in its consumer markets through its use of a star alliance model where other organisations are responsible for peripherals such as monitors or printers or distribution.